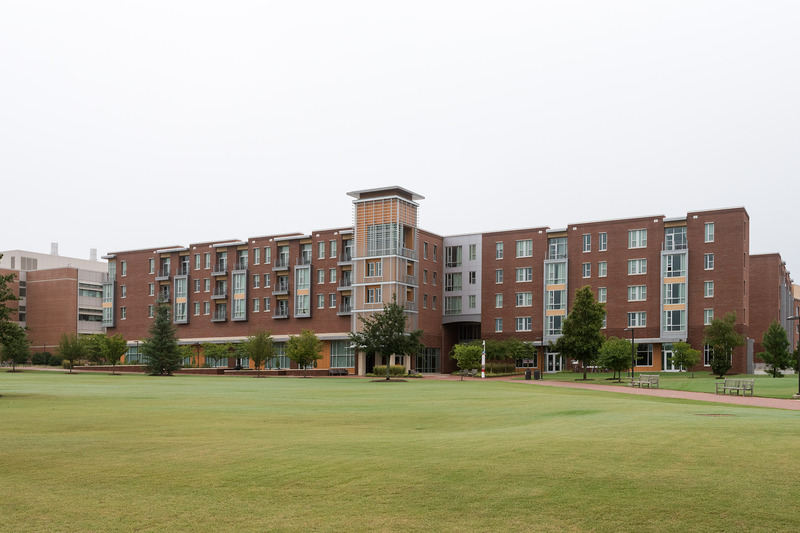 On September 2, 2017, we went to North Carolina State University's Centennial campus where we visited the James B. 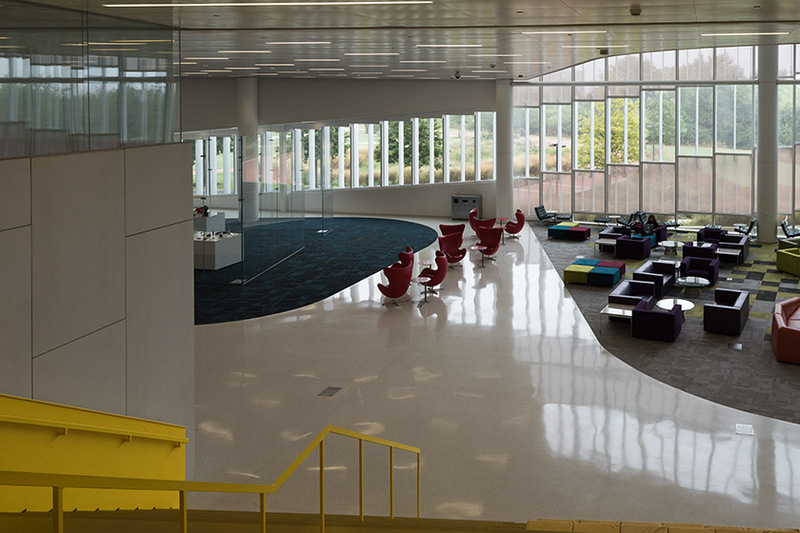 Hunt Jr. Library, named after former North Carolina governor Jim Hunt. 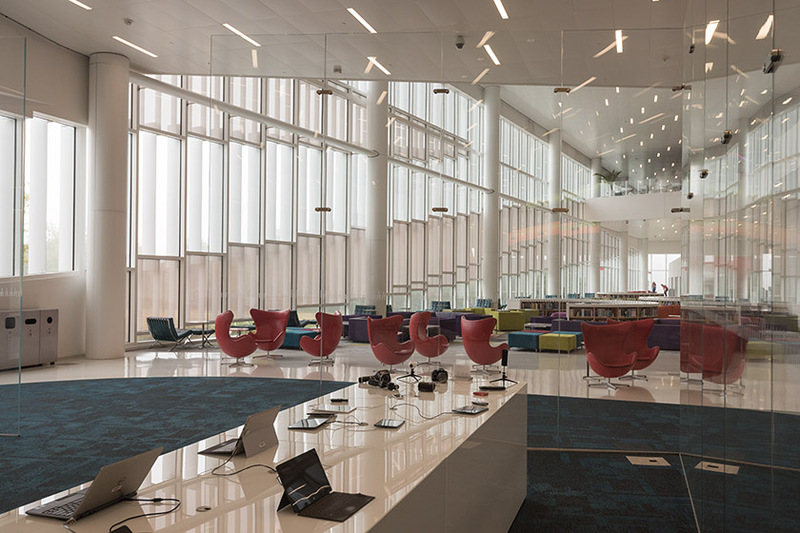 The library is a truly impressive facility that opened in January of 2013 and would not be out of place in a city like Paris or New York. 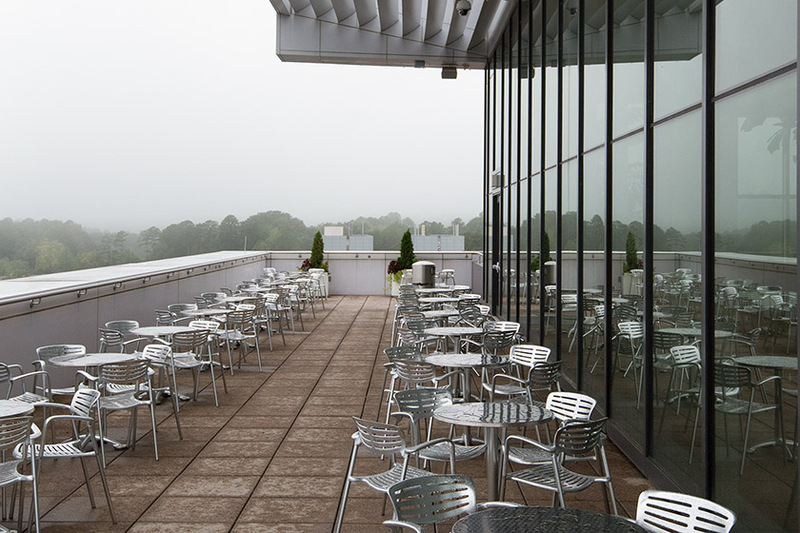 Having it in Raleigh is truly a privilege. 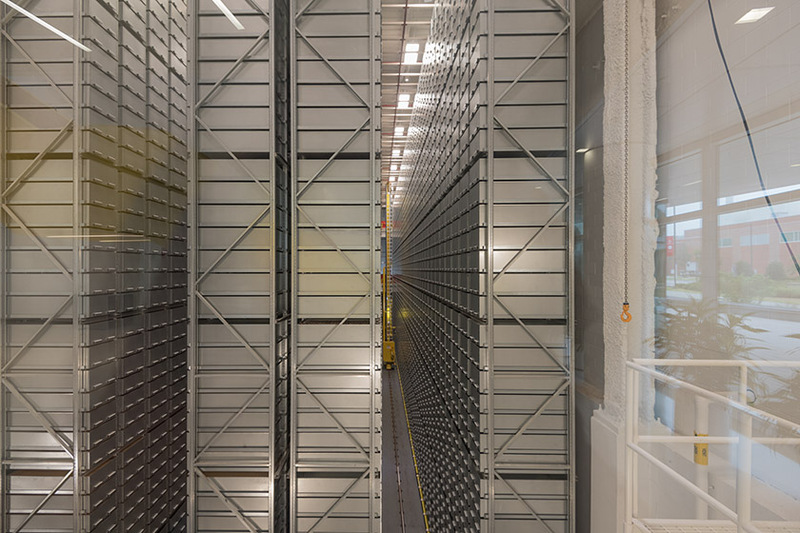 The library currently accommodates 1.5 million books in its bookBot system with the possibility of adding another 500,000 volumes. 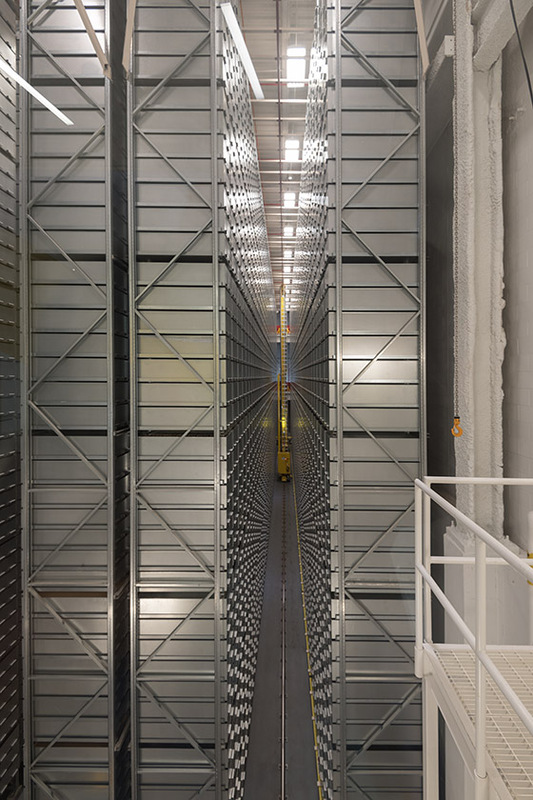 All this takes only one ninth the space of conventional stacks. 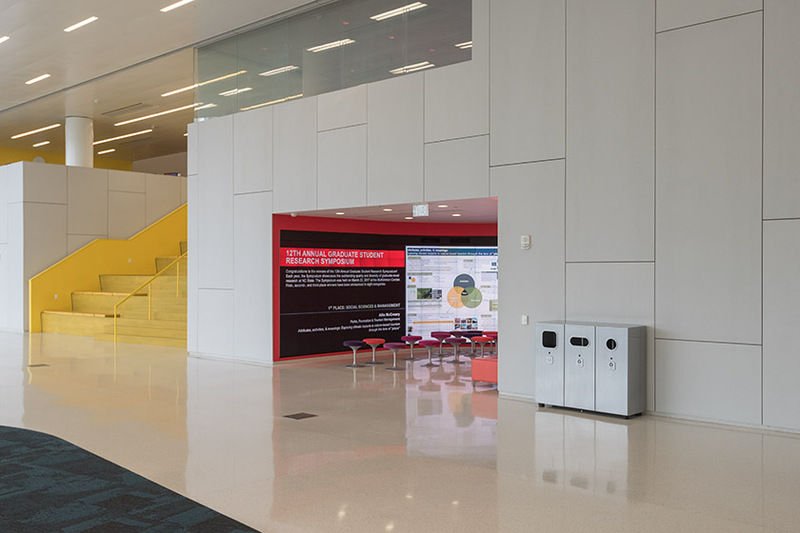 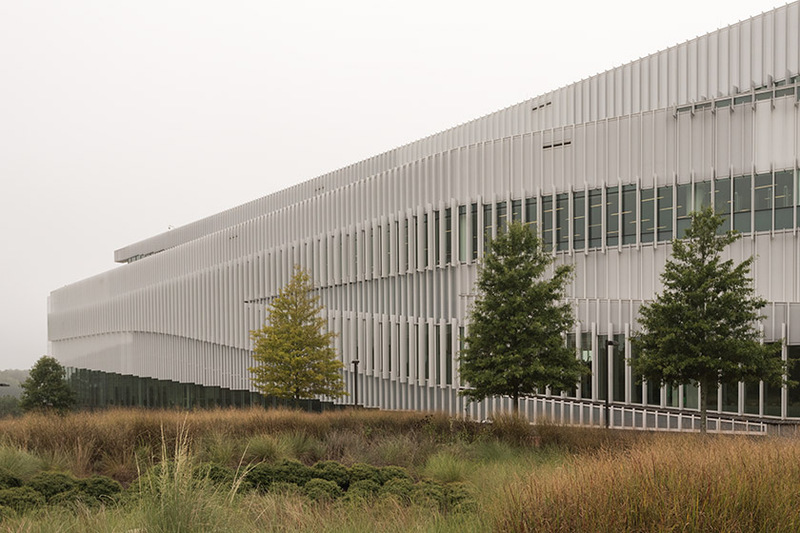 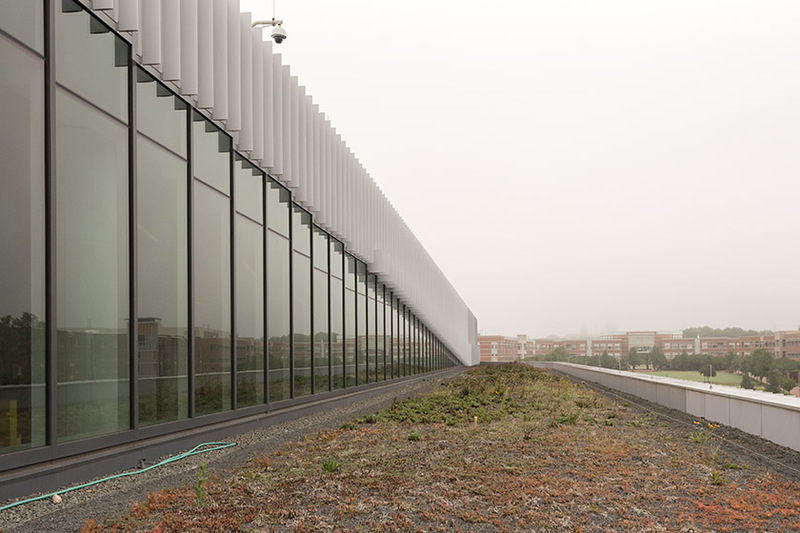 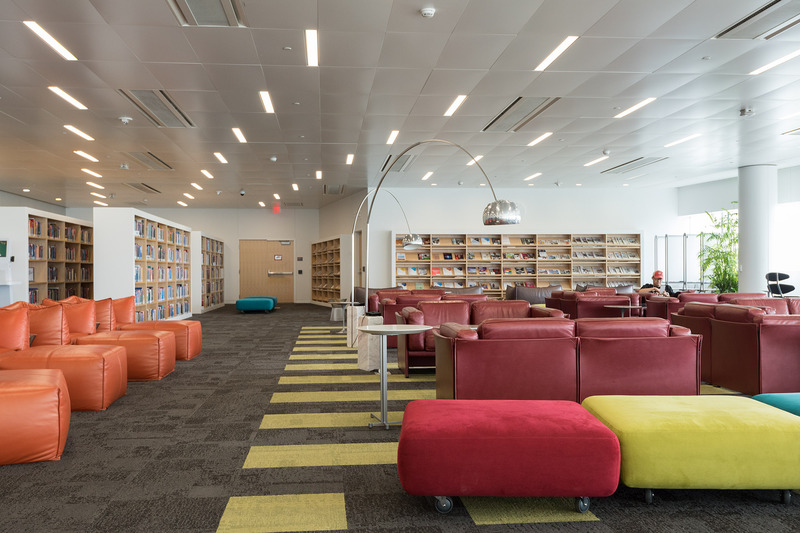 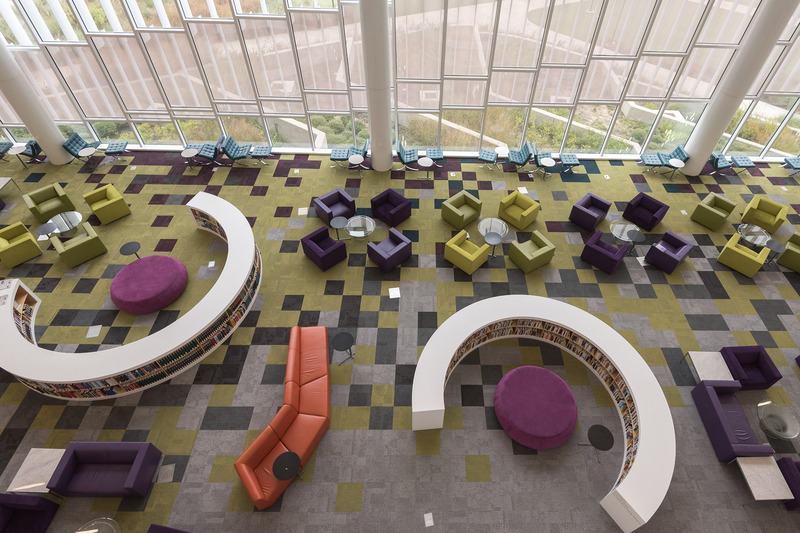 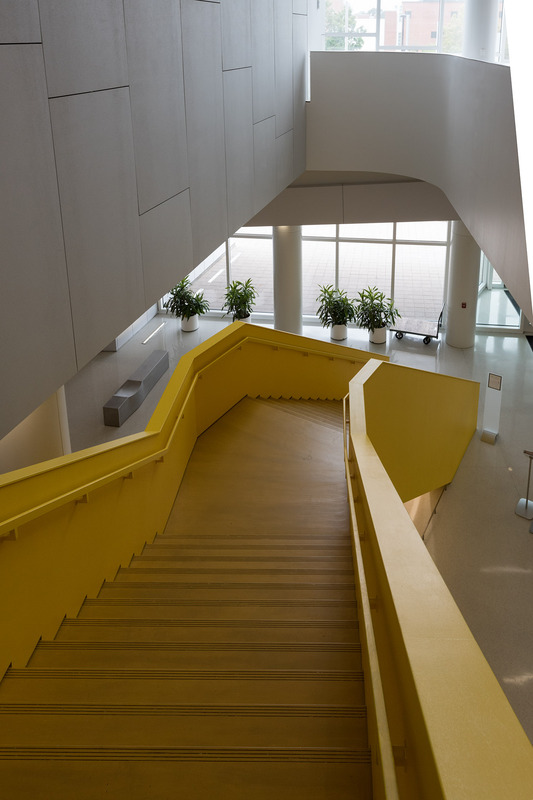 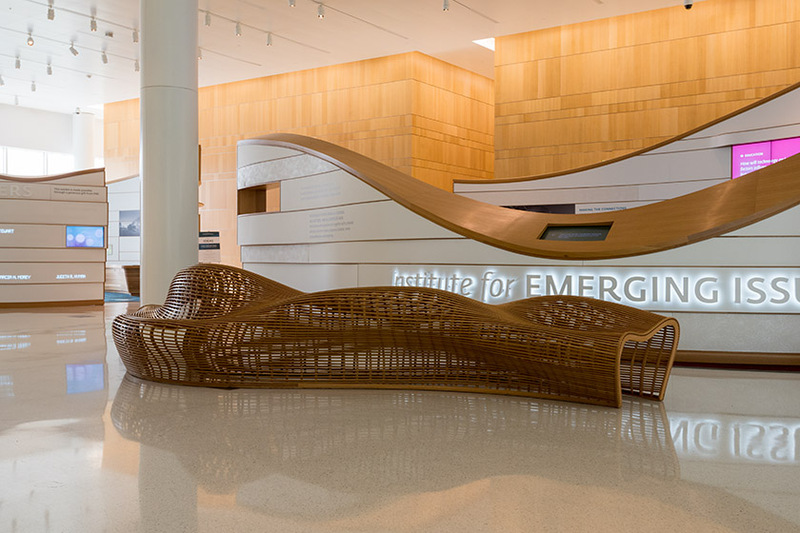 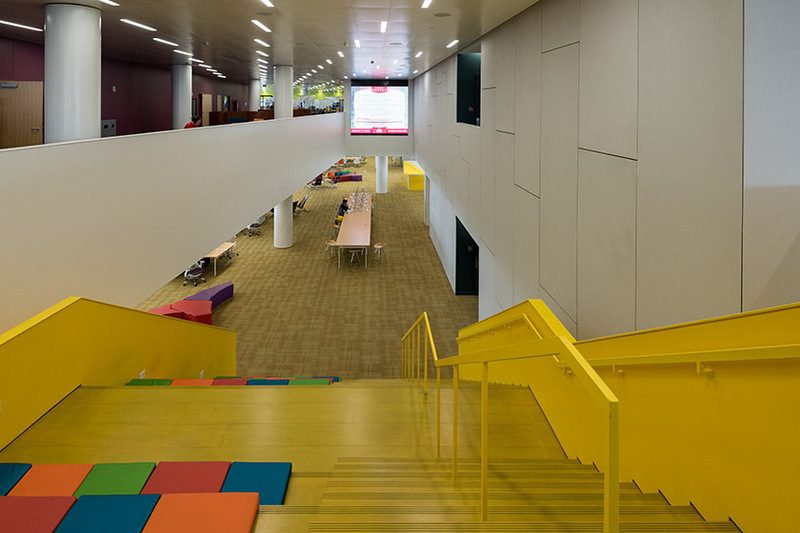 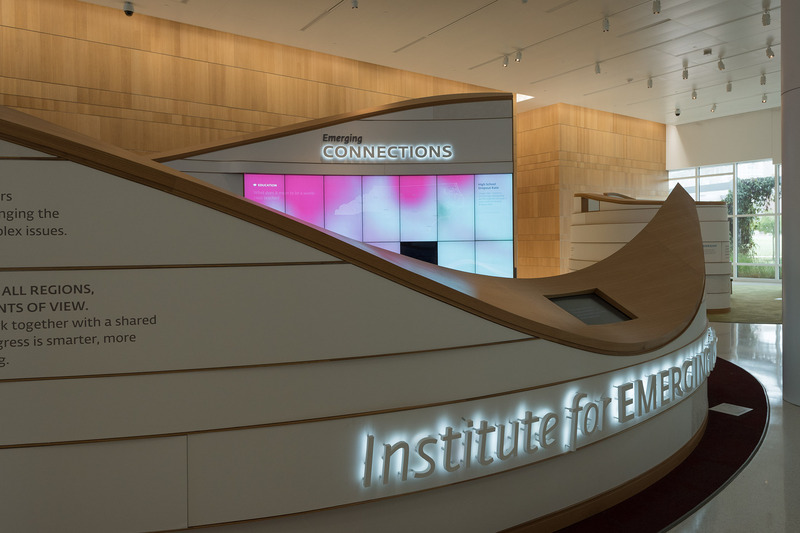 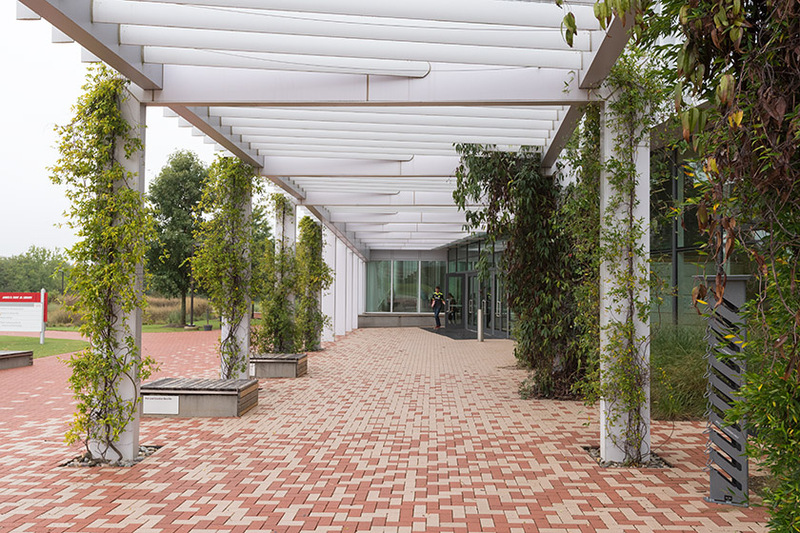 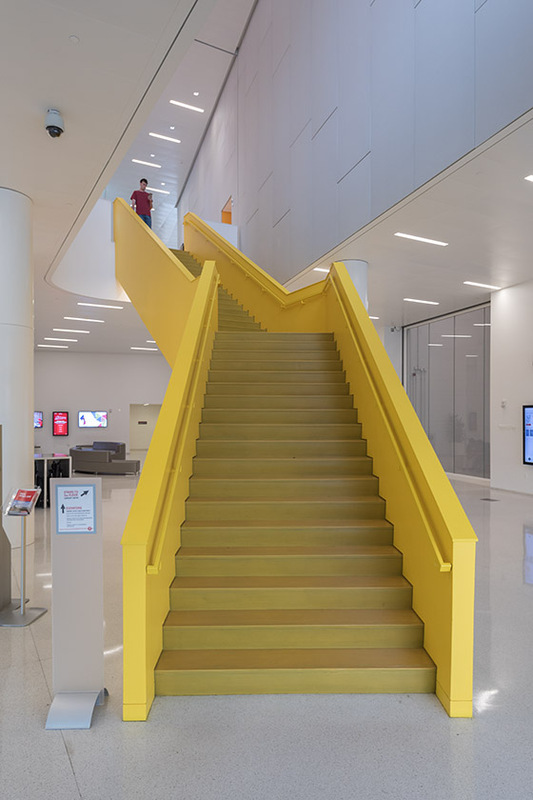 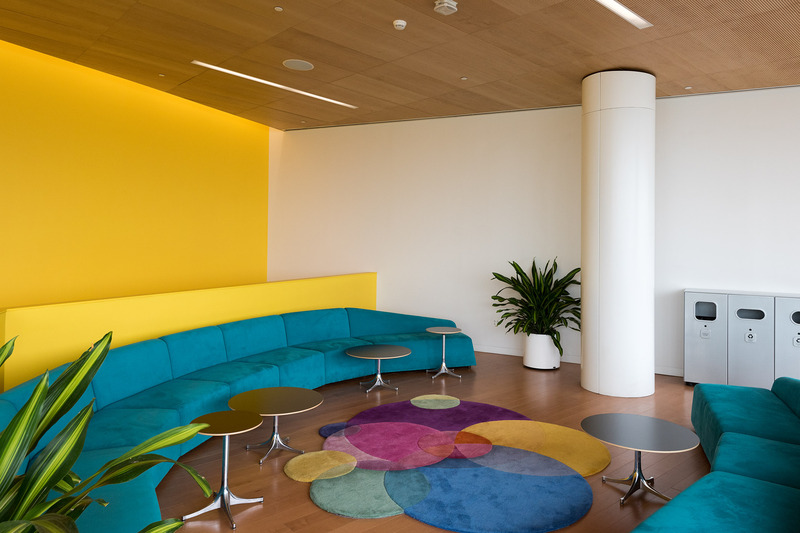 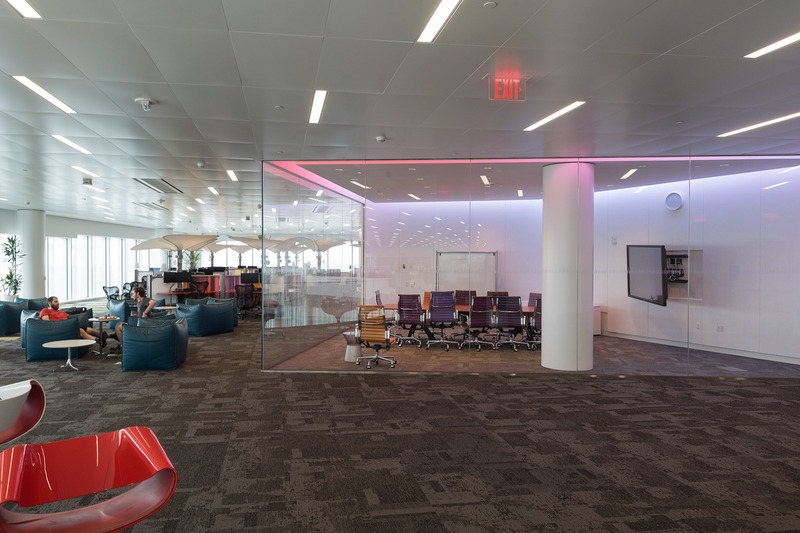 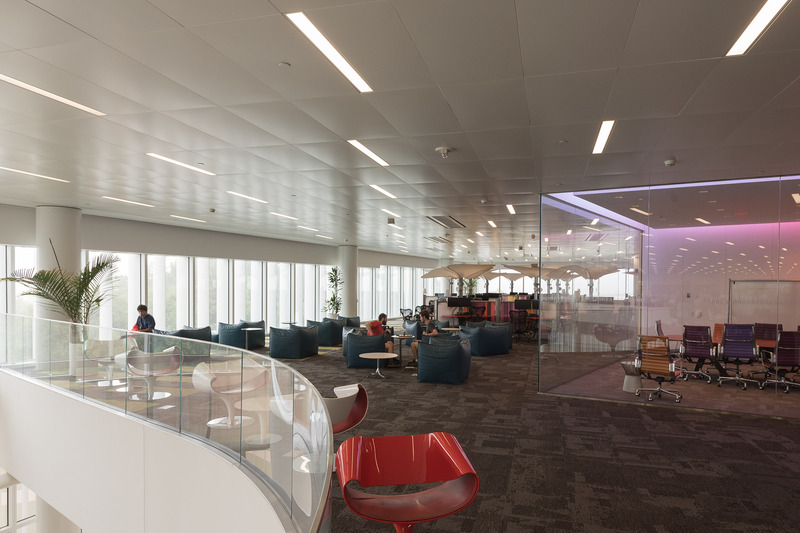 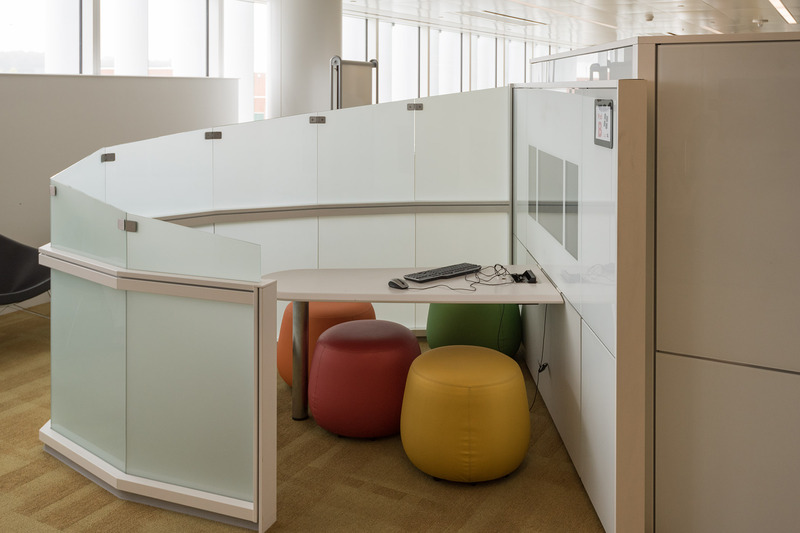 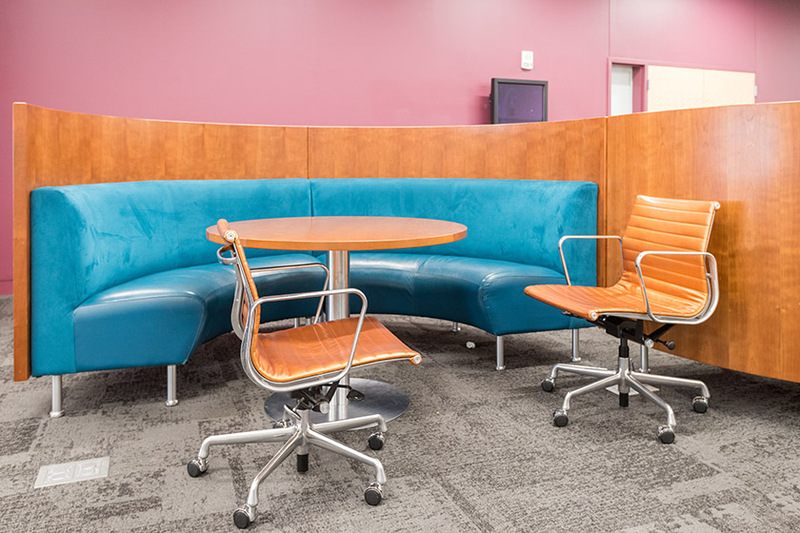 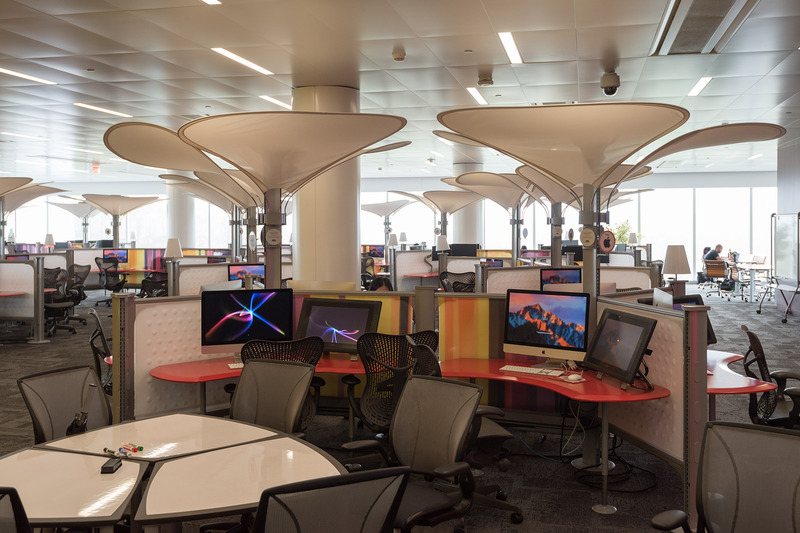 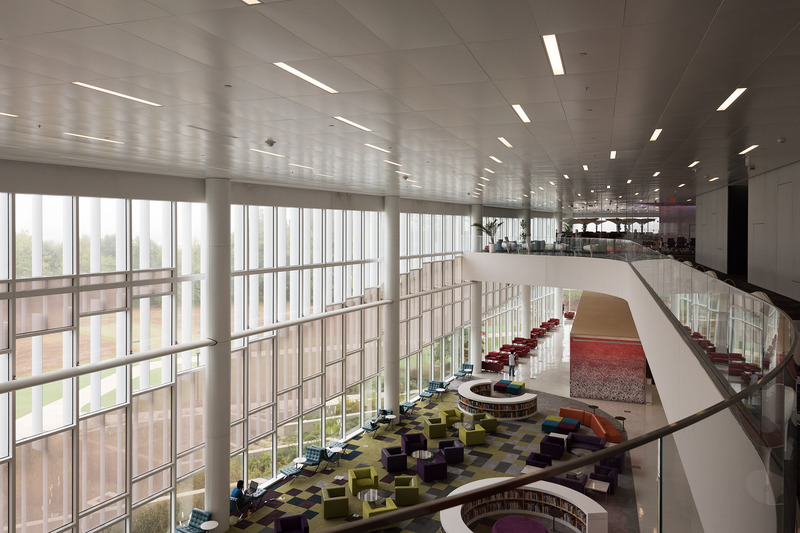 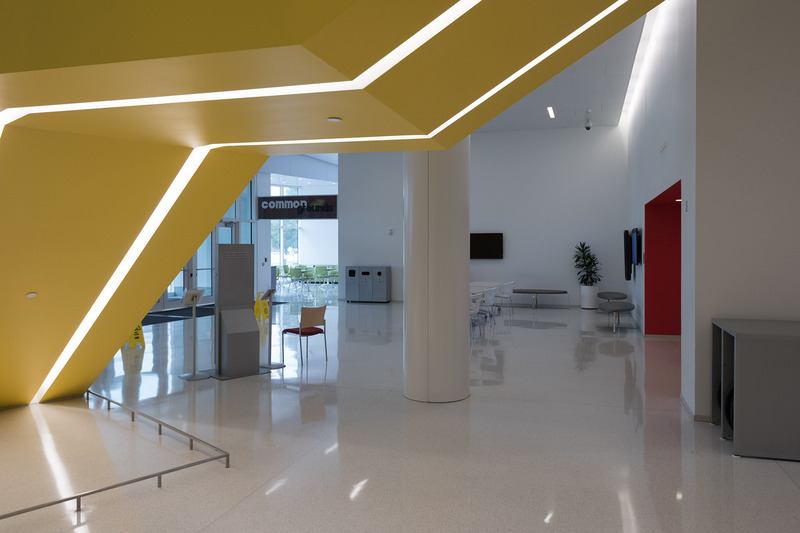 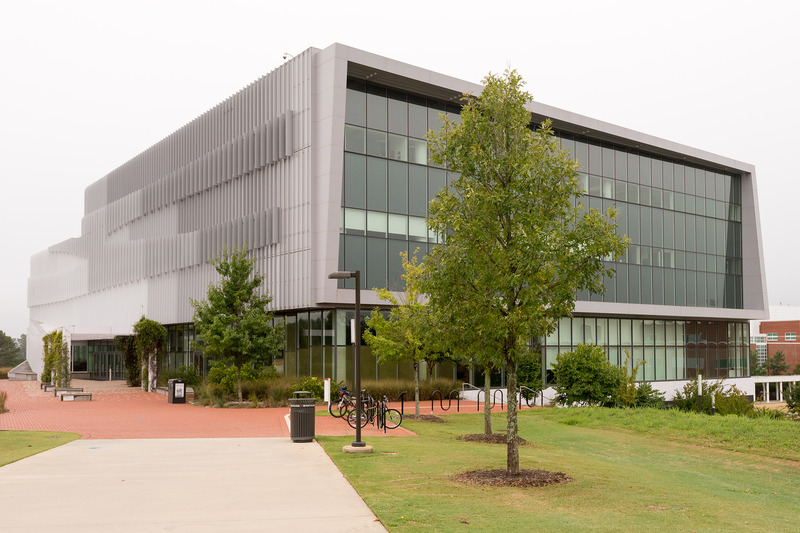 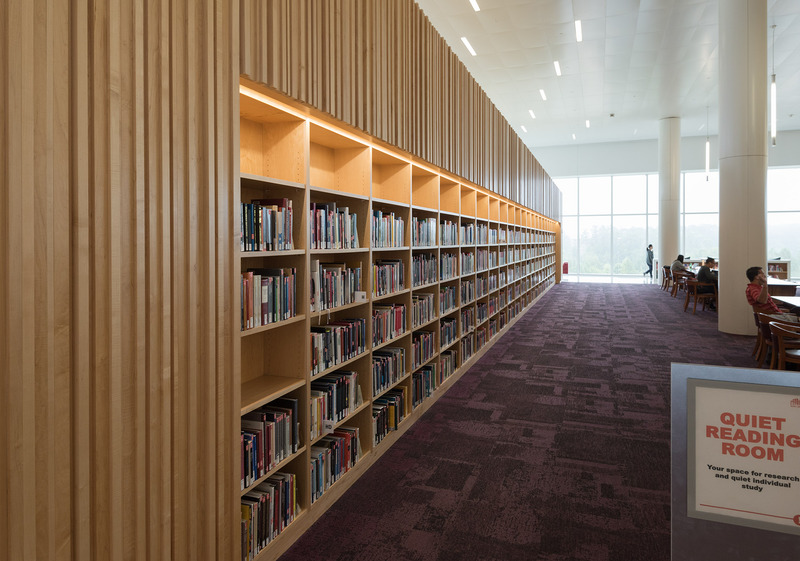 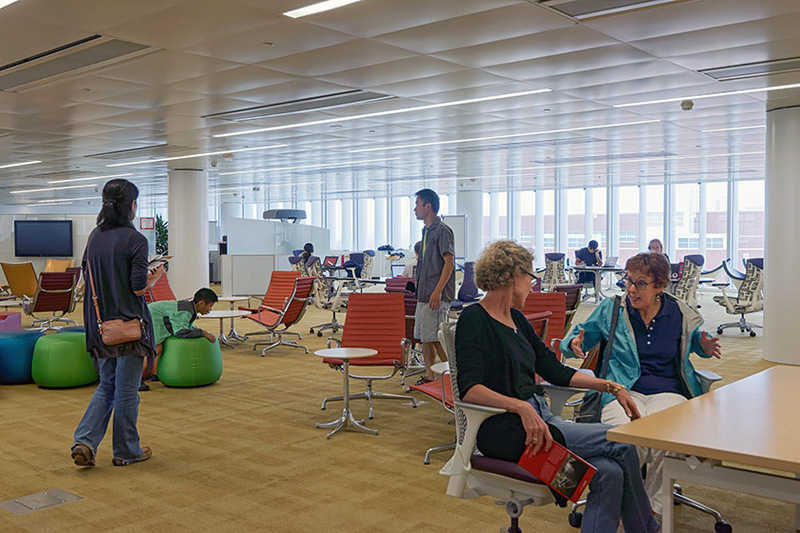 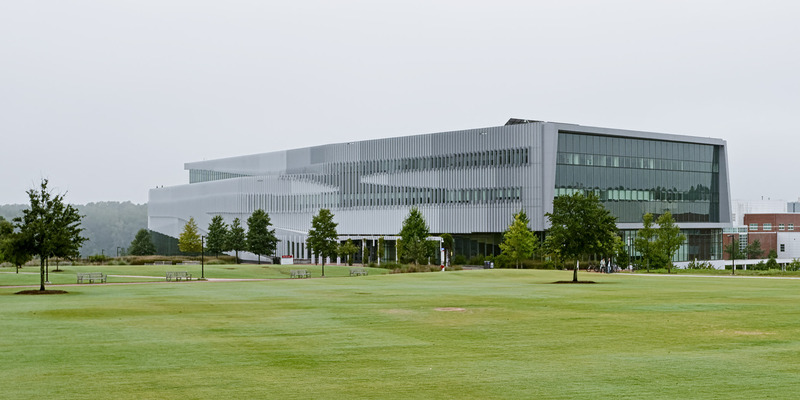 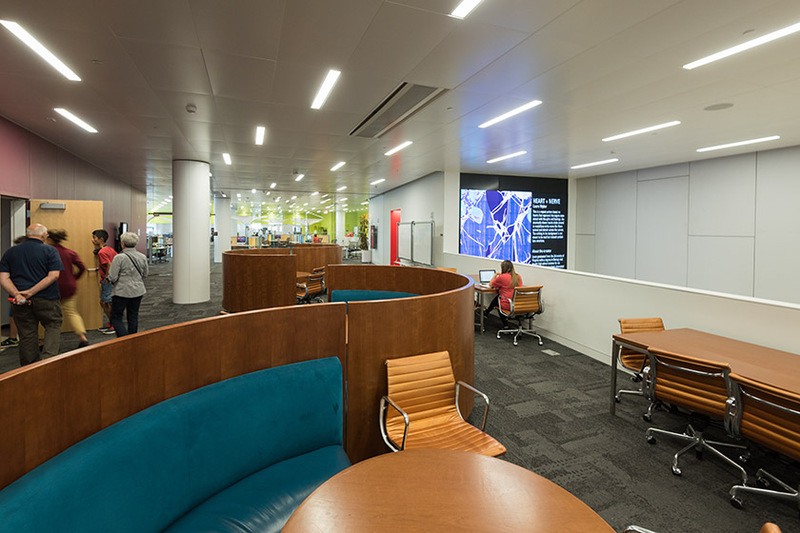 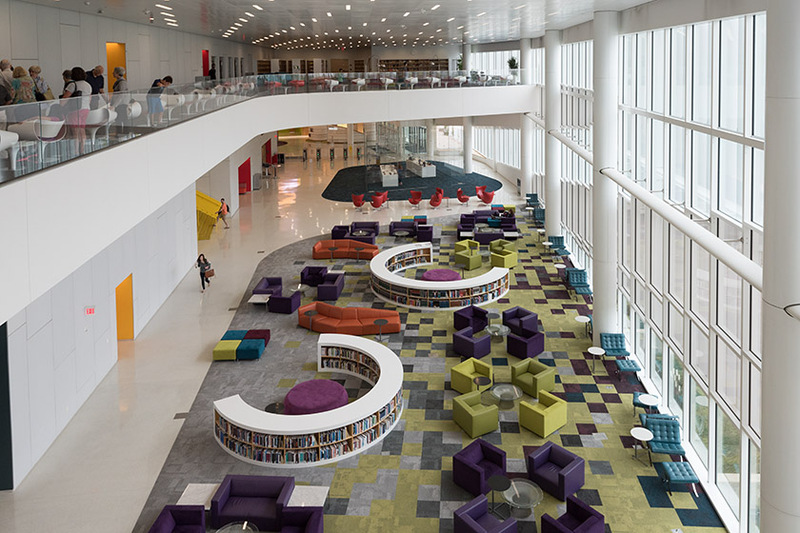 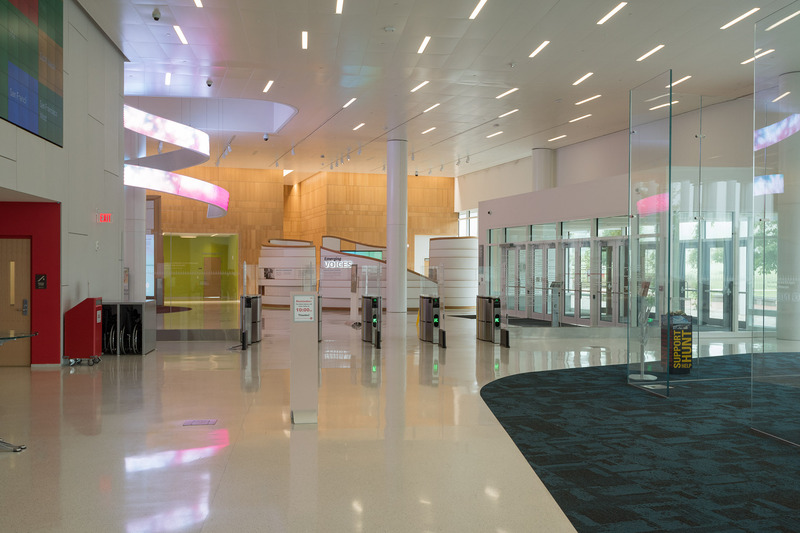 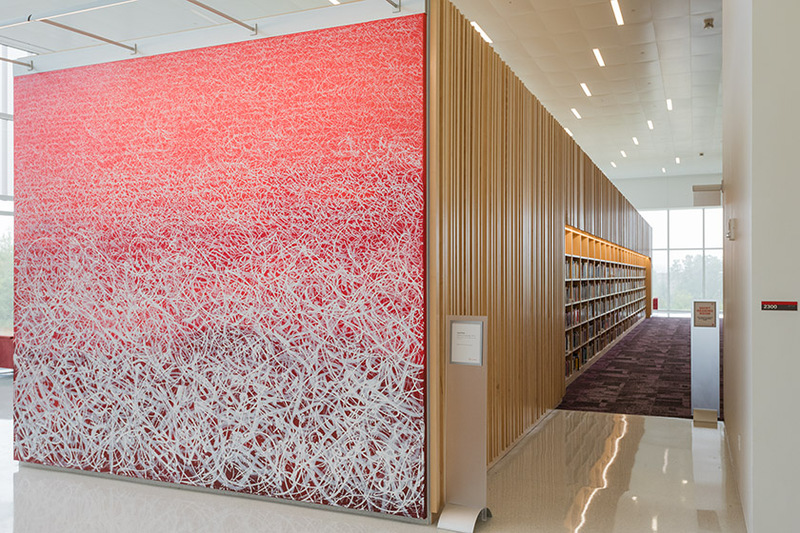 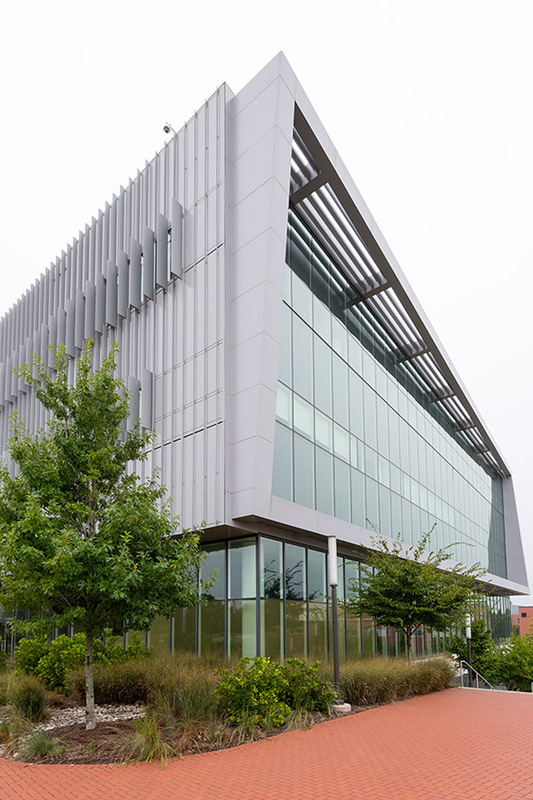 In addition to its traditional library function, the building is a focal point of collaboration between students and a place where ideas and concepts can be discussed and tested. 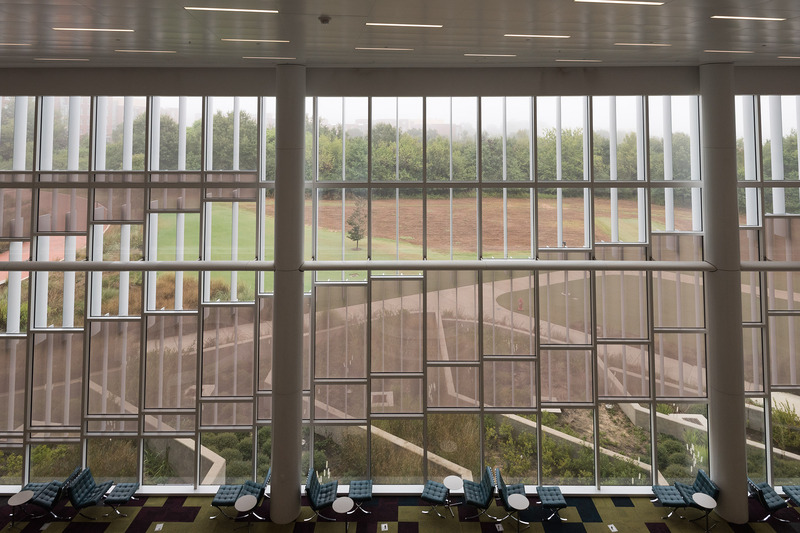 Even though the weather was rather gray on the day we visited, there was plenty of light inside the building. 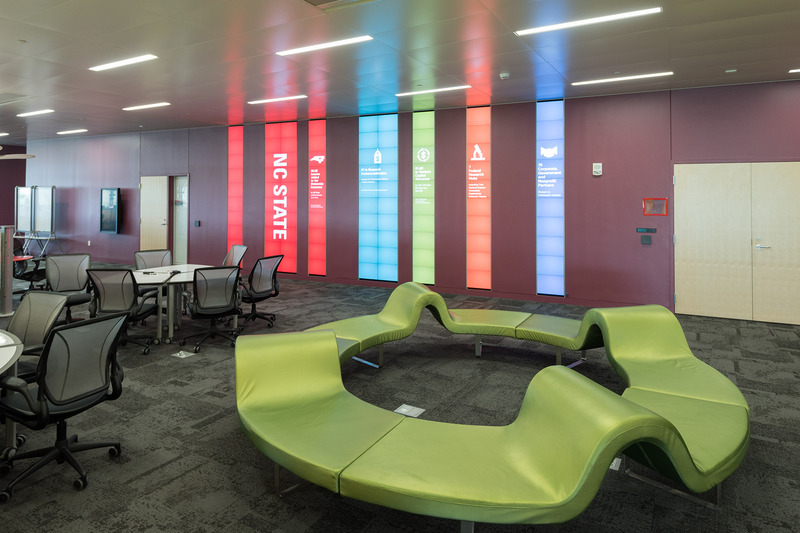 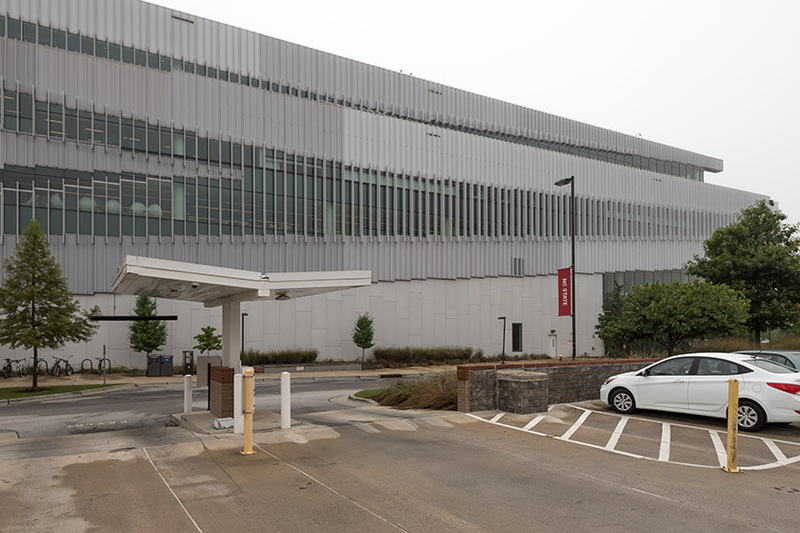 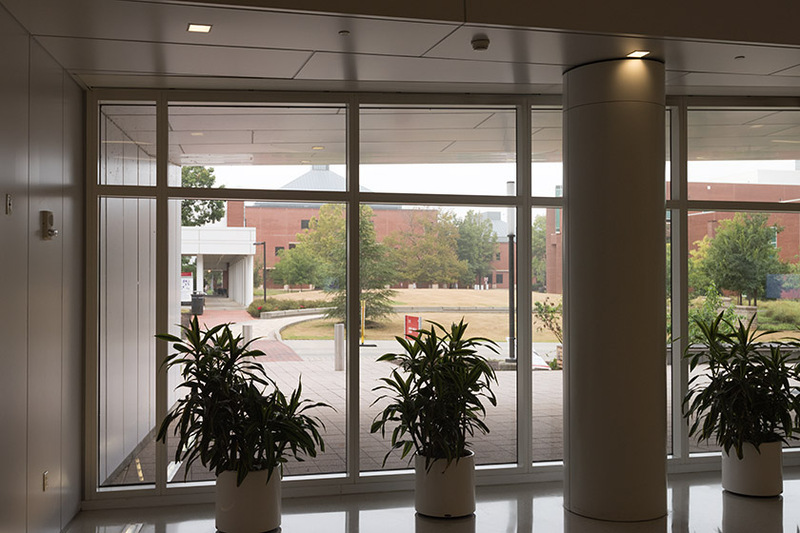 If you would like to follow along on our tour of the library, you may downloaded a Library Map from NC State's site or from this site if the previous link should become unavailable. 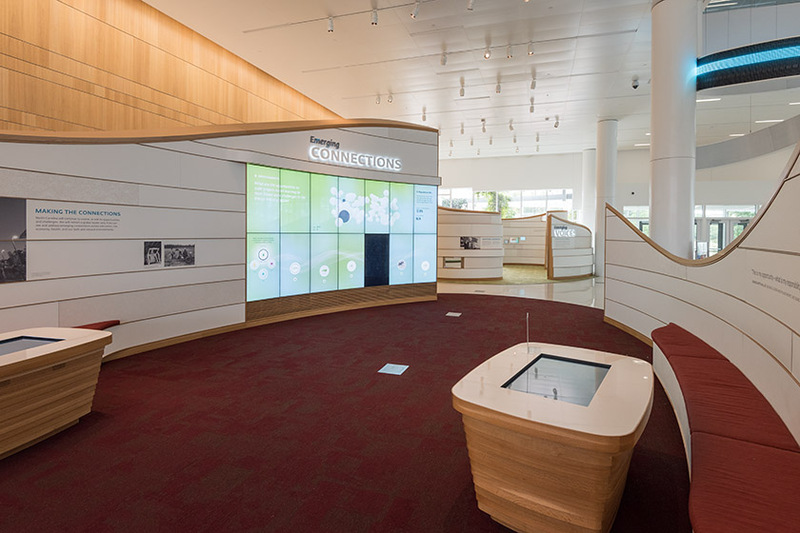 We also highly recommend a visit to the library's official site. 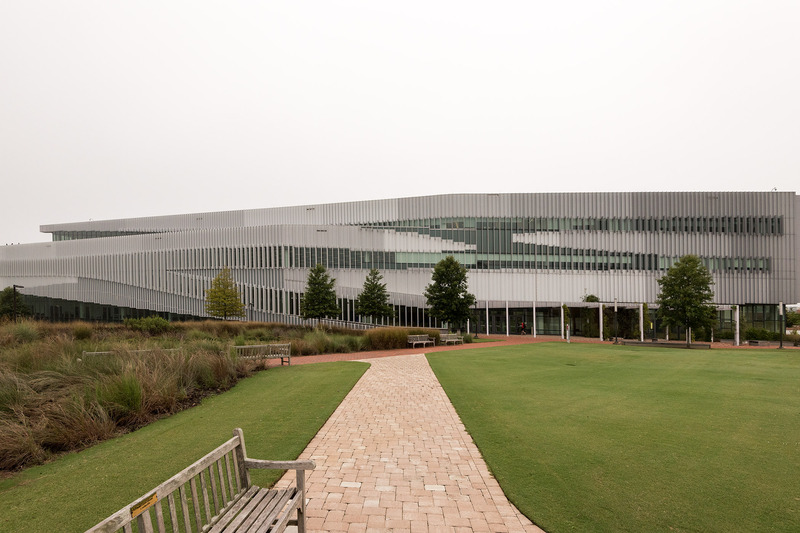 ...and from the north side. 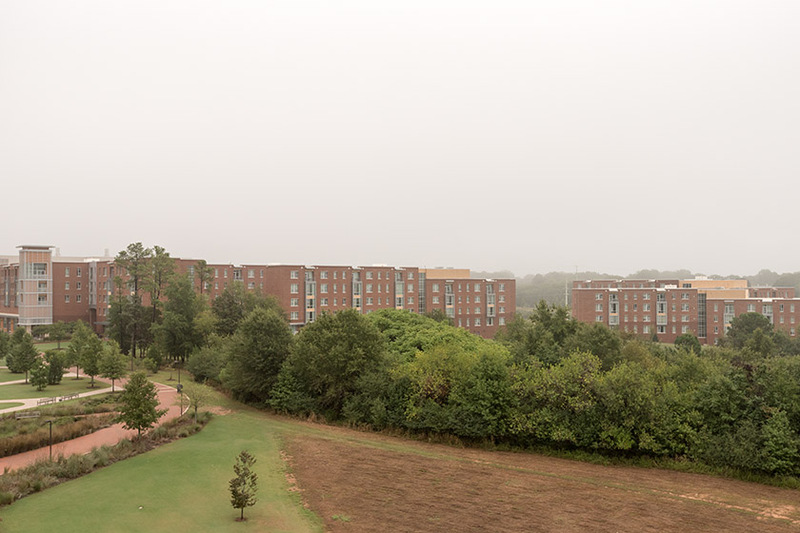 The photos and video on this page were taken on Saturday, September 2, 2017.